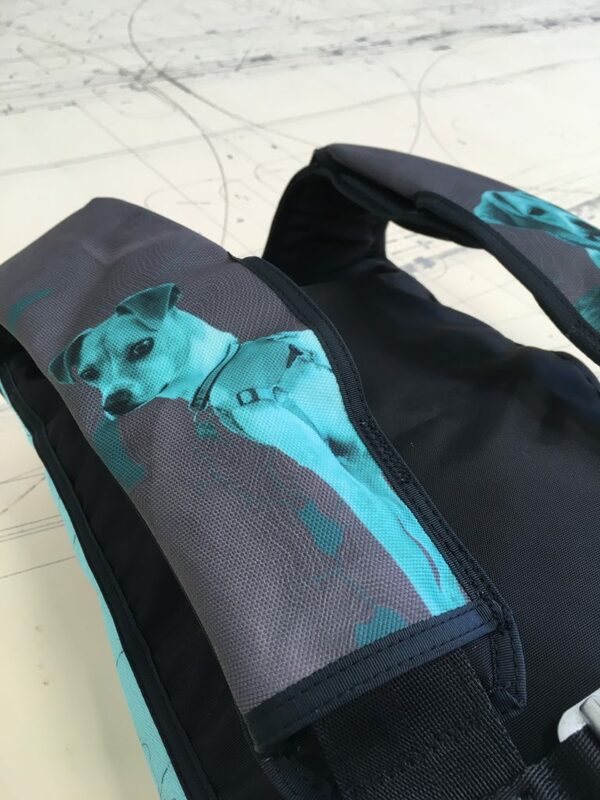 Custom printed gear has become popular as dye-sublimation technology has advanced and made its way into a wide range of applications. In BASE jumping the most popular use of this technology has been on harness-container systems and wingsuits. 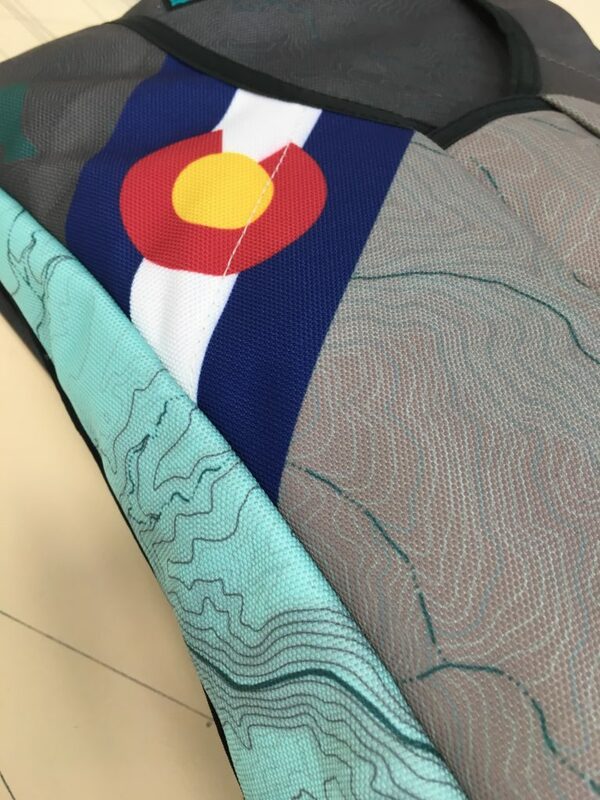 We’ve been playing with dye-sublimated (printed) fabrics for several years and want to share our observations. Dye-sublimated containers look awesome: Maybe you didn’t need us to tell you this, but they just do. The level of detail that can be achieved is impressive, and the options for aesthetic customization becomes infinite. Nylon is softer, stronger, more resistant to wear from use, and more resistant to some types of acute damage. Polyester is easier to dye, more UV resistant, more water resistant, and less prone to stretch/shrinkage. Here you can see that the fabric was pulled out from under the binding tape on the tuck tab pockets. 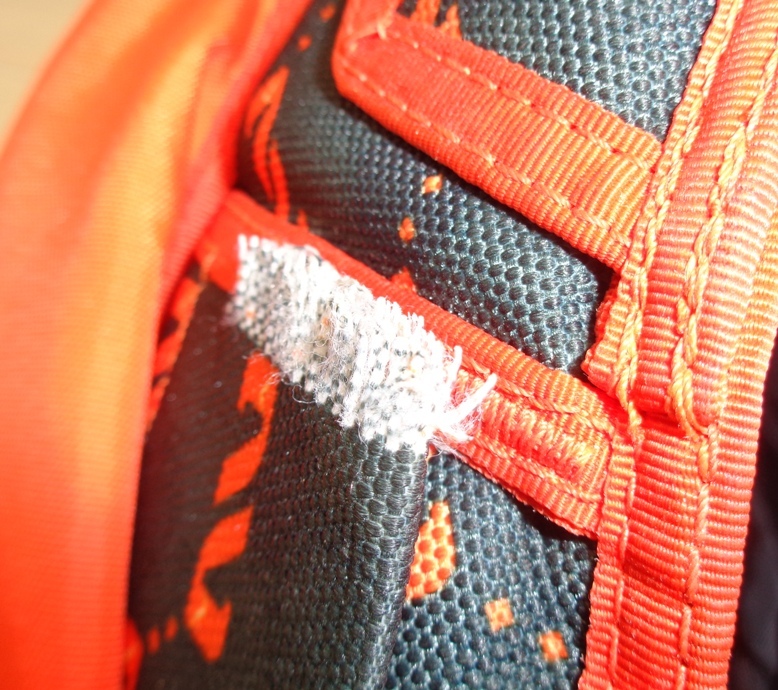 This “combing” is a result of the weaker polyester fabric being pulled at a high stress area of the container. This is an issue, but a solvable one. This is why Apex BASE is slow and cautious to release any new product or option prematurely. It’s important to extensively prototype any new element before introducing it into a single parachute system. 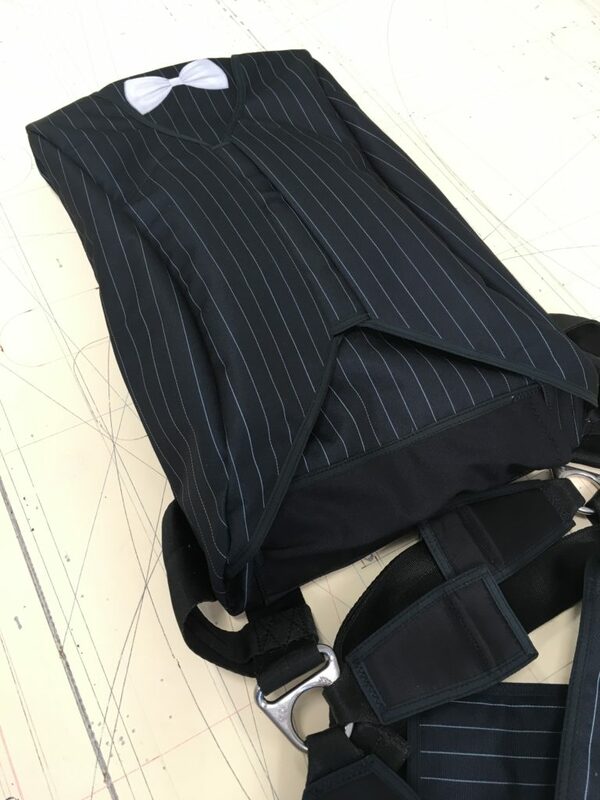 In this case we were able to find the stress points that were problematic for the polyester fabric and reinforce them appropriately. Dye-sublimation requires heat, and pressure: The process of printing a design onto polyester requires a lot of heat (up to 420 degrees Fahrenheit) and pressure. We’ve been asked about printed canopies and pilot chutes and for now our answer is, “not at this time.” We’re comfortable heating up a durable Cordura-style fabric and using it in a non-load bearing functionality (e.g. the non-harness elements of your harness-container). At this time however we are not confident enough with canopy fabric that has been exposed to temperatures approaching its melting point for use on a single parachute system. We have seen some examples of main canopies being printed and used in skydiving applications and we’re going to continue to monitor the situation. 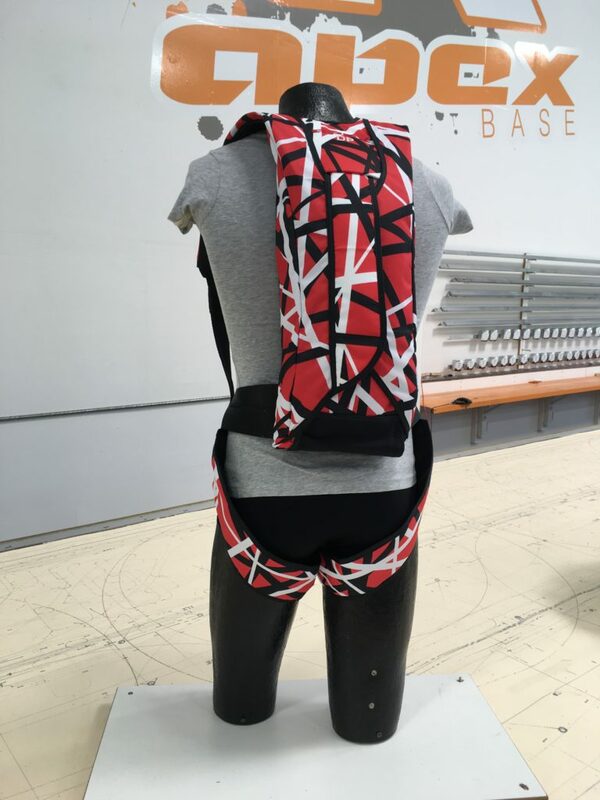 The vast majority of BASE concepts have been proven in skydiving with the use of a reserve parachute, and we think the printed canopy fabric should be perfected in skydiving before we ask our customers to trust it on hundreds of BASE jumps spanning many years. 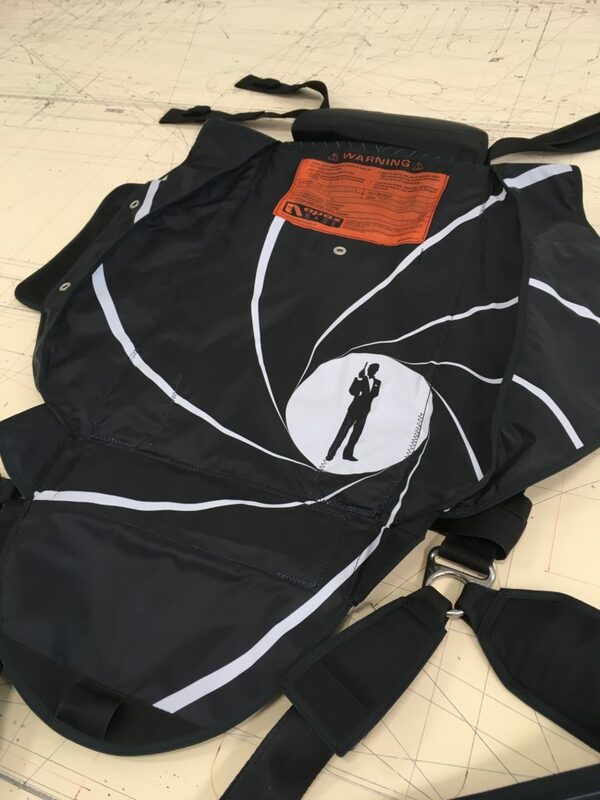 For now, all canopy logo work is being done using applique (sewn on logos) or by printing a polyester fabric panel and sewing it onto the canopy. 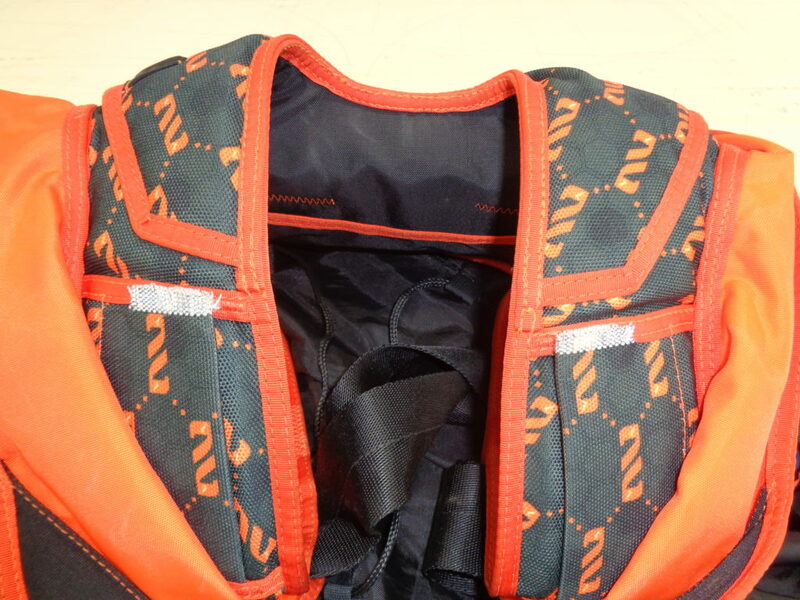 Printed gear tends to have lower resale value: This is true of almost any item. The more it’s been customized to appeal to your unique tastes and preferences, the less likely it is to appeal to someone else. If you like to resell your old gear or keep your options open, you’ll be better off with a more traditional container design. While we sell a meaningful amount of printed rigs here at Apex BASE they are far outnumbered by the amount of rigs that have a more classic look, and we’ve seen printed gear being sold at significant discounts on the used market when compared to simpler designs. We love this new technology and look forward to further incorporating it into our products. In partnership with WNGMRK we’ve been producing the most beautiful and impressive rigs in our 30 year history and we’re excited to see what other designs our customers can come up with! Please feel free to call us with questions, comments, and concerns. We’re here to help and look forward to chatting BASE with you!